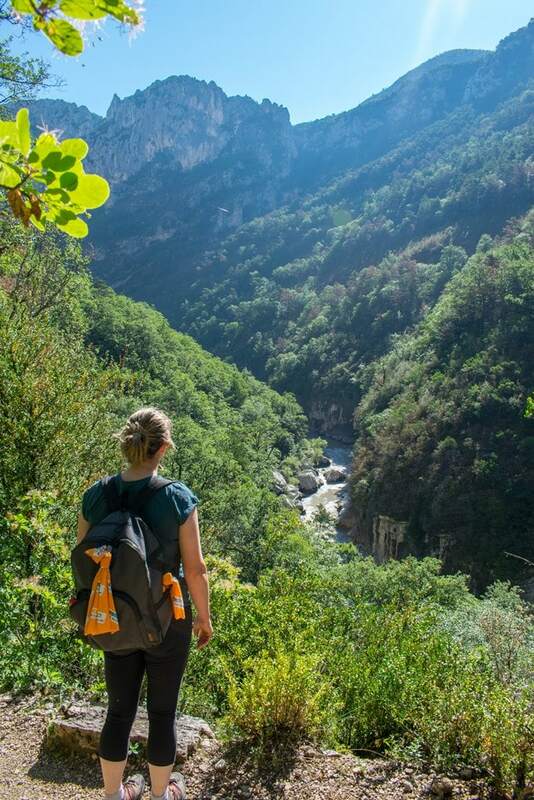 Discover the largest canyon in Europe: the Verdon Gorge, and walk down to the Verdon River below for a well deserve “Siesta”. 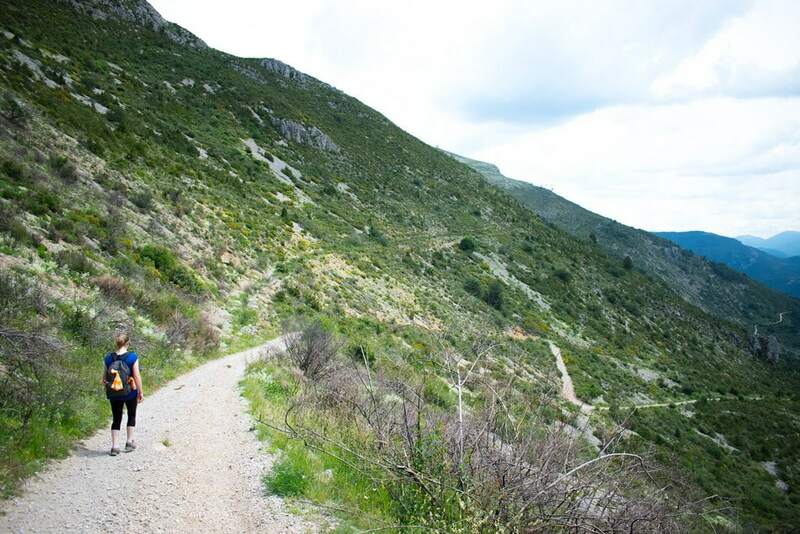 Follow the famous GR4, the Roman way, and the Route Napoleon. Witness the unique culture, tradition, of Provence and the most beautiful villages of France. A Magnificent and wild landscape characterised by its preserved nature and turquoise waters. 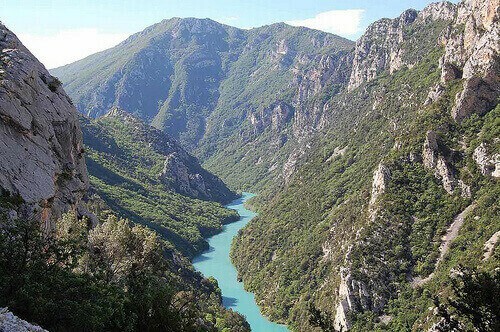 Les Gorges du Verdon (the Verdon Gorge), also called “Le Grand Canyon du Verdon” or Verdon Canyon, define the border between the département Var and Alpes de Haute Provence. 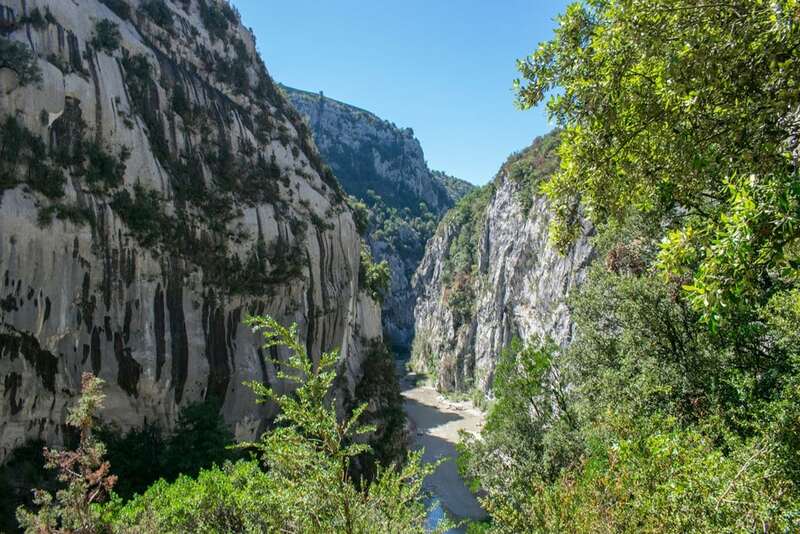 The Verdon River carved a deep canyon into the limestone cliffs here for about 21 km. 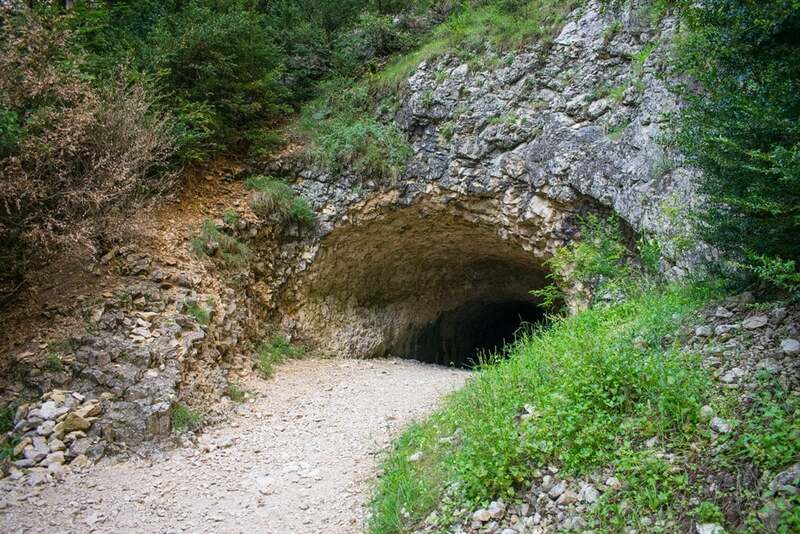 It is much smaller than the Grand Canyon but it’s Europe’s deepest. 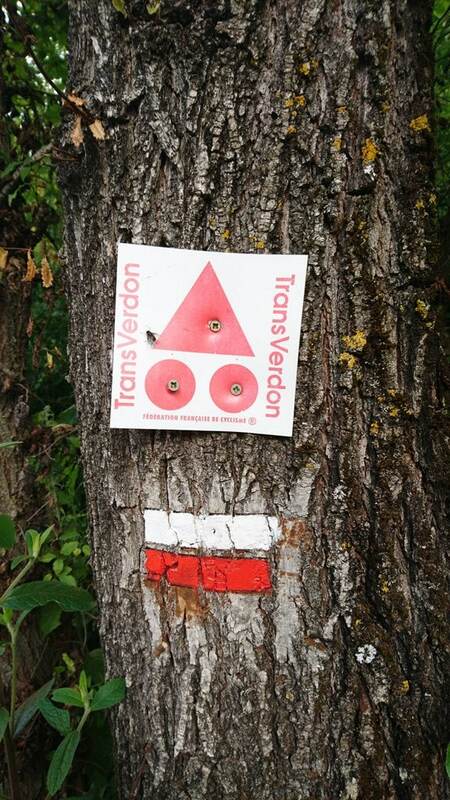 This is a nature conservation area, the Parc Naturel Regional du Verdon. 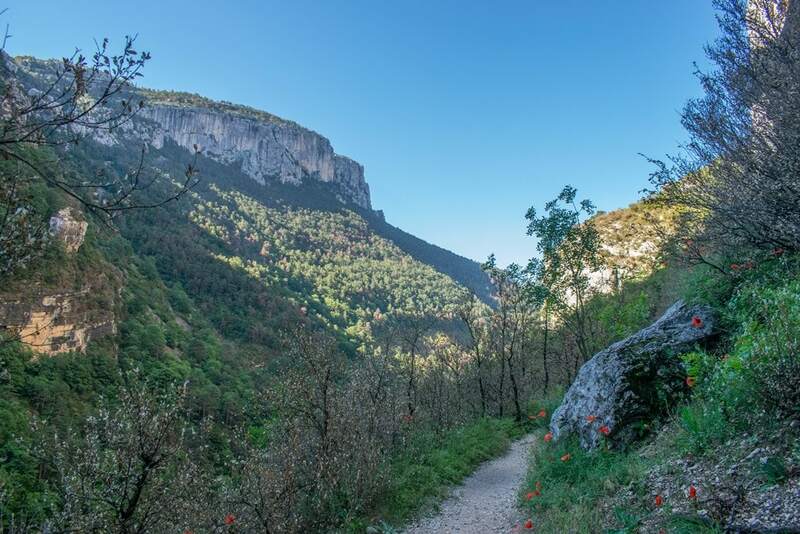 The Parc Naturel Régional du Verdon was inaugurated in 1997 finally recognising and officially protecting the special nature of the region. Les Gorges du Verdon is not only an exceptional natural site, we find a lot of beautiful typical villages through the Verdon River. 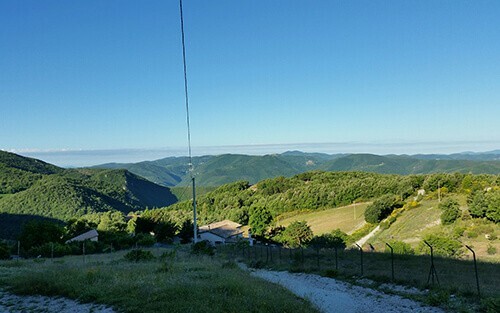 Villages and towns of character such as Riez-la-Romaine, Moustiers-Sainte-Marie, Castellane, Entrevaux or Annot ( the villages ranked as “villages et cités de caractère”) unfold on the hills covered with oaks, vineyards and orchards. 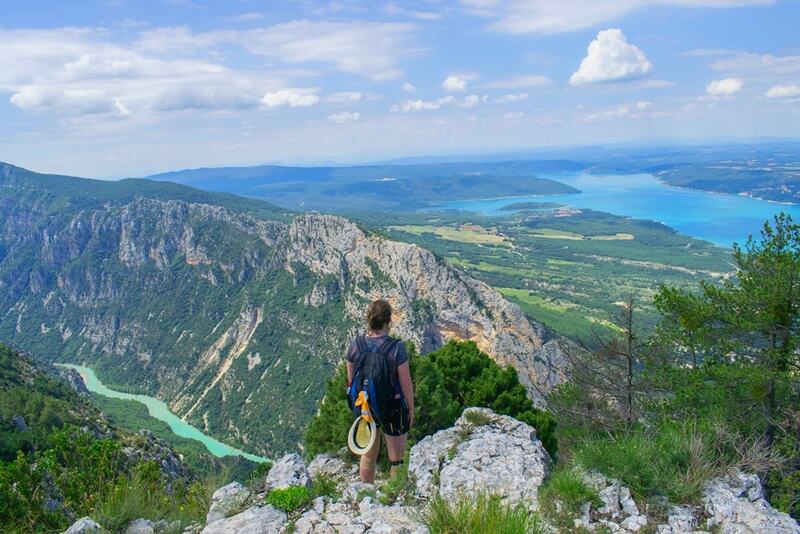 La Palud sur Verdon is heaven on heart for climbers from all over the world, Castellane is an exceptional site, overlooked by Notre-Dame-du-Roc or Entrevaux, a medieval town, has kept its ramparts and its citadel built by Vaudan. The pre-alpine treasures of Haute Provence are found in the local delicacies that you can discover in the village shops: truffles, oil, tapenade, lavender honey, seasonal vegetables, biscuits, goat’s cheese or “charcuteries” (salted meats). 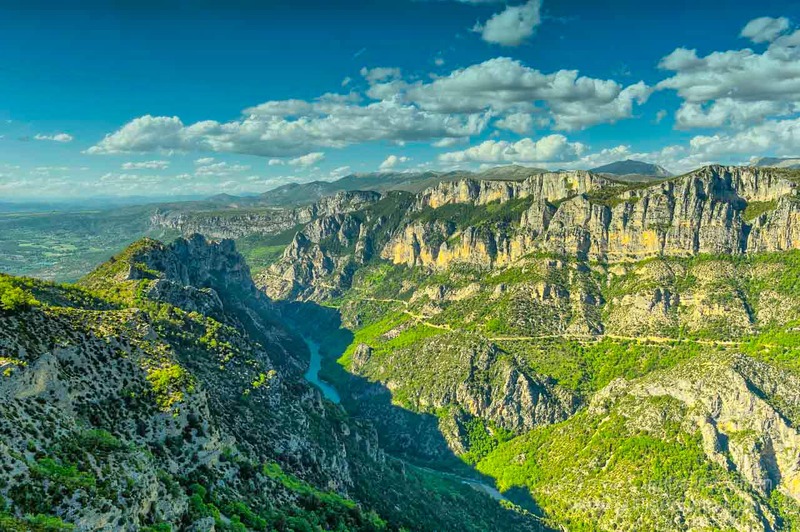 The day dawns on the fantastic chasm of the Verdon Gorge, and the emerald-green river winding along the bottom, as vultures glide by in the sky. 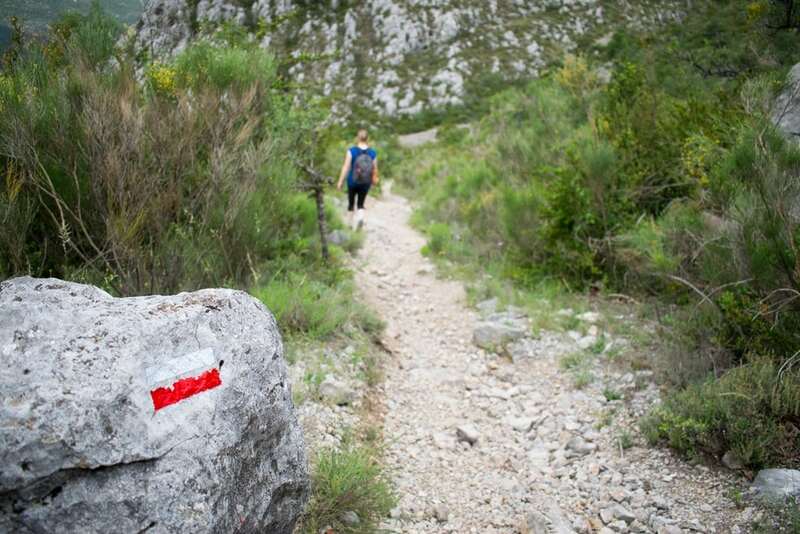 The walking holidays we designed for you aim to bring you through the heart of this incredible area and to enjoy the wide variety of landscapes, authentic, peaceful, natural and rustic in a wonderful atmosphere. 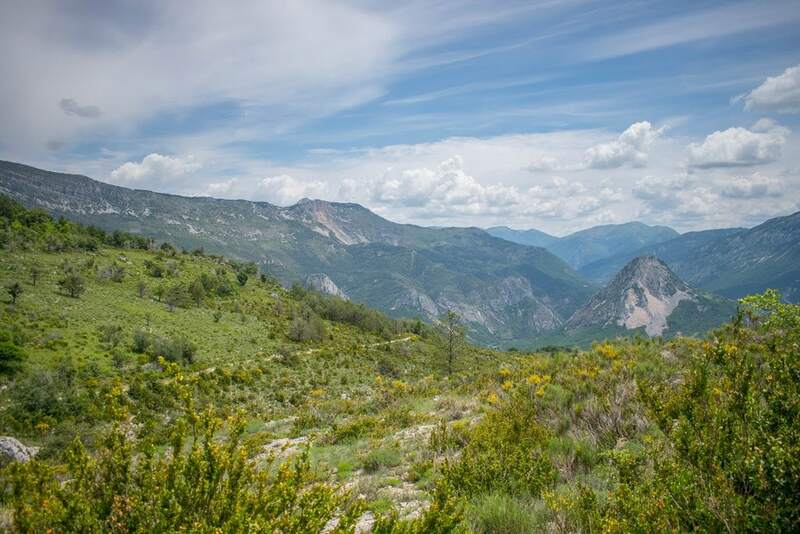 Castellane is located in a privileged site, right at the doorway to the Verdon canyons. 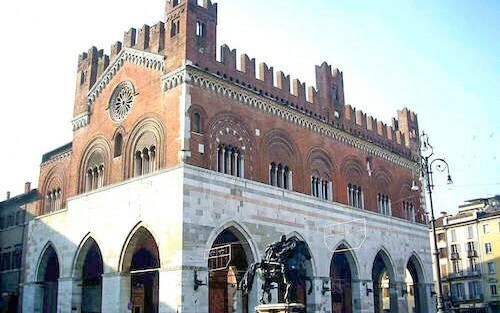 Tourists are drawn here both for the commercial activity and the vast choice of excursions and sports offered by the old city. The whole of the town should be admired from the terrace of Notre Dame du Roc. One can reach this chapel after walking along what remains of the 14th-century walls of the city. 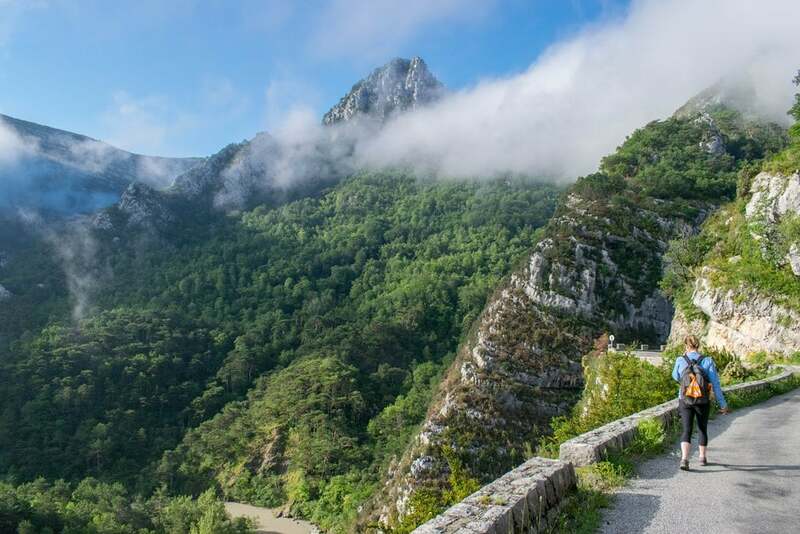 There is also a beautiful view of the ramparts, the Napoleon Bridge and the Verdon canyons. 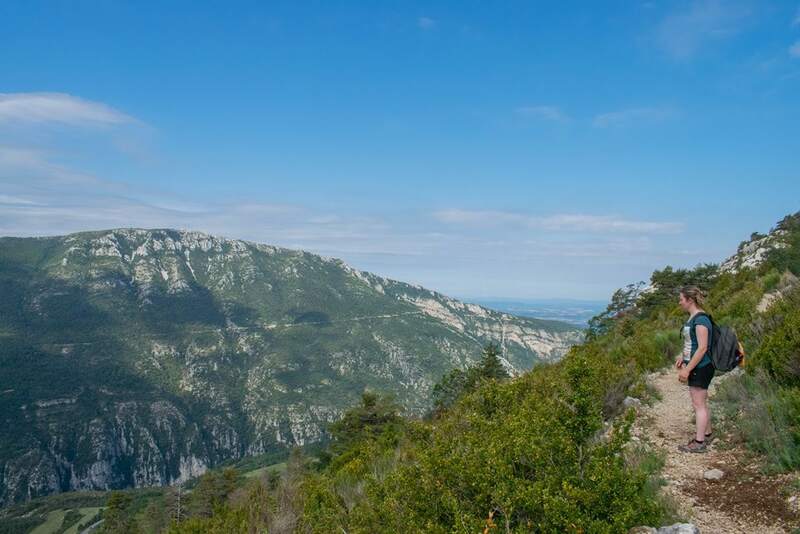 Hanging on to a rocky peak rising out of stony ground and lavender bushes, the village of Rougon overlooks the entrance to the grand canyon of the Verdon gorges. 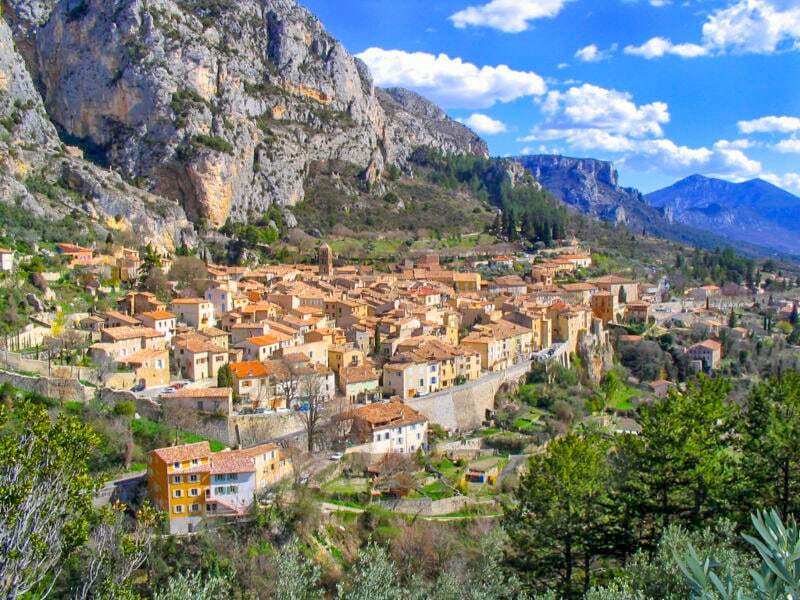 Rougon offers a peaceful setting far from the smoke and noise of the big cities. It is a typical little Provençal village complete with narrow streets and houses built in traditional materials. From the ruins of the castle, there is a wonderful view of the Point Sublime which truly deserves its name. 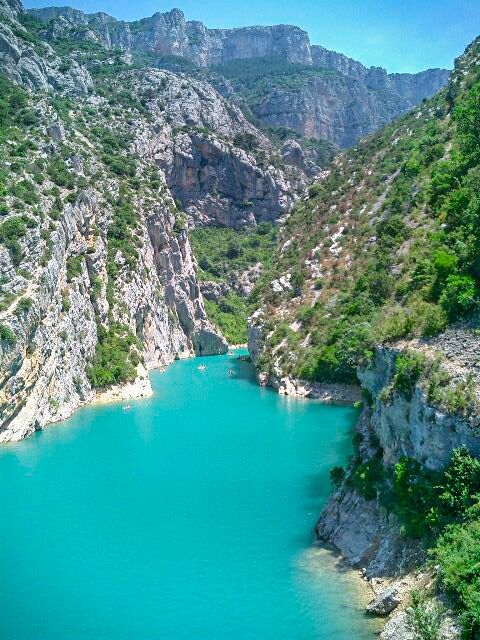 La Palud is one of the most critical places in the region when visiting the Verdon Gorge. 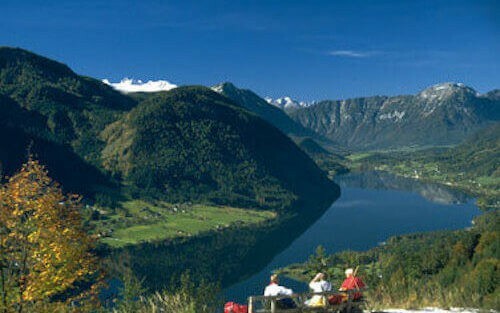 There is plenty of hiking and mountain biking around the village and in the summer, swimming in Lake Ste. Croix. La Palud was once a potters’ village, and the tradition for local products has continued. Here you will find trout and crayfish, baby lamb with Provençal herbs, lavender honey, truffles, ham, and country bread. 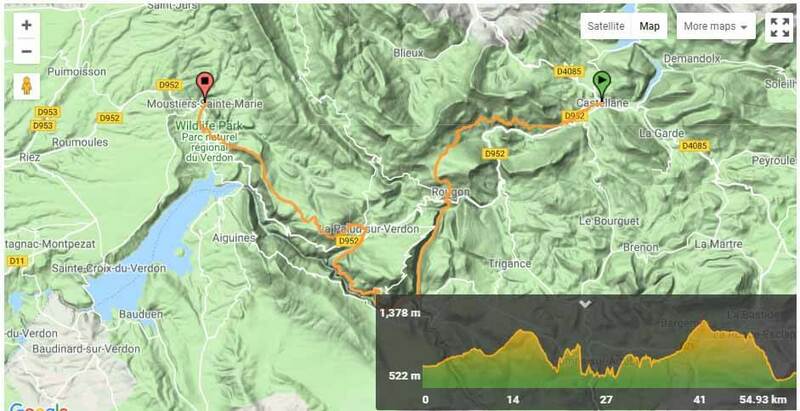 If you would like to cut 1.5 or 2 hours from the walk, we would suggest ordering a taxi at Chasteuil, from here the walk is along the road beside the Gorge. Situated at the entrance to the Verdon Gorge canyons, Moustiers Sainte Marie is a first rate place for earthenware tiles. The site is exceptional and quite amazing. Moustiers is set in a semi-circle of rocky cliff at 630m altitude. Two peaks at either end of this cliff are linked together by an iron chain (227m. long) on which is hooked the star of one of the knights of the Crusades. 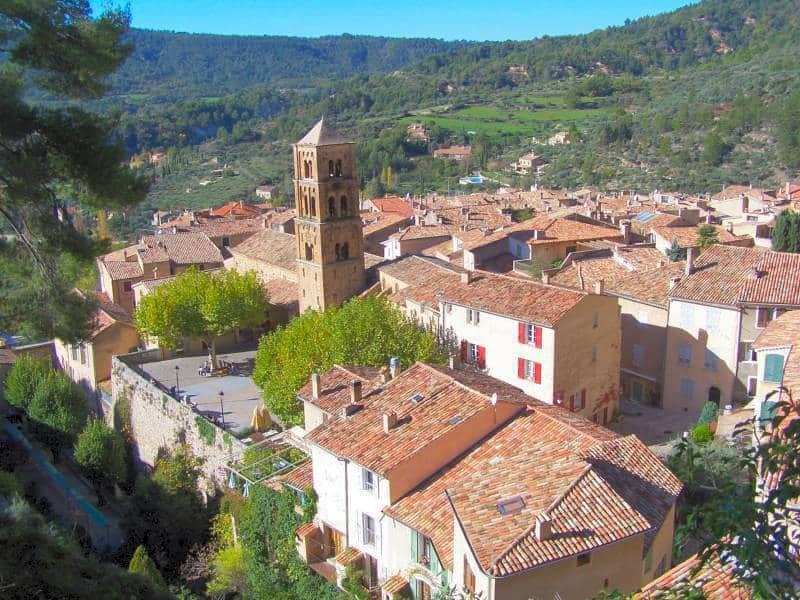 At each season Moustiers offers wonderful walks either in the heart of the village (the architecture is surprising) or in the outskirts (waterfall of Rion, Notre Dame de Beauvoir, the grotto of St. Madeleine). Moustiers Sainte Marie is the end of the adventure. We can arrange extra nights anywhere on the itinerary after your last walking day. We can also arrange a station/airport transfer. Please get in touch: info@onefootabroad.com for more info. Nice Airport, 106 km of Saint Andre les Alpes. Marseille Airport, 160 km of Saint Andre les Alpes. Details on prices and time on the sncf website.